Update: It looks like the black model is sold out, but the white is still available as of 8:55 AM PST. 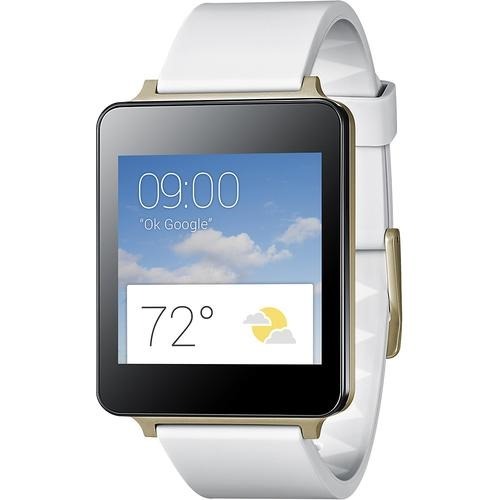 Best Buy has been listing the LG G Watch for just $80 starting yesterday, but it sold out almost instantly. It looks like now (RIGHT NOW), it's back in stock. Unlike the Groupon deal we posted earlier today, this one also includes a $50 Google Play gift card, the same promotion that Google itself gave on Friday. That's an undeniably fantastic deal, especially since the Best Buy online store is adding free shipping into the bargain. Good for one $50 Google Play credit. Must purchase an Android Wear device to qualify for the promotional credit. Not reloadable, no cash value. Offer expires on 1/31/2015, and must be added to a Google Wallet account by 1/31/2015. Once added, credit must be used on Google Play by 1/31/2016. Devices and certain subscriptions excluded. Offer good in USA only. Must be 13+ years old, US resident, have Internet access, and have or activate a Google Wallet account. See Promotional Balance Terms for more information. Usually arrives within 30 minutes, but it could take up to 8 hours. As long as you know you'll eventually spend fifty bucks on apps, music, movies, TV, books, or in-app purchases from Google, that brings the effective price of the G watch down to an amazing $30. Like I said, the deal has been going in and out since yesterday, so if you see it in stock, hurry up and grab it. It looks like both the black and the white/gold colors are available, though which one you can get might be somewhat limited.